The Postgraduate Diploma in Midwifery prepares a rewarding and challenging career in midwifery. The full-time course is 90 weeks in length over three semesters. It commences with a one week compulsory orientation period. The course provides a fast track route into midwifery and is completed within an 90 week teaching period. As a midwife you will be working with families and parents at one of the most important times of their lives. You will be caring for and supporting women and their partners during pregnancy, childbirth and the postnatal period. The Postgraduate Midwifery Diploma (90 week shortened course for Nurses) prepares qualified adult nurses to pursue a rewarding and challenging career in midwifery. The programme will enable you to develop your skills, professional knowledge and understanding of the midwife's role, understand childbirth and the current issues in midwifery practice. It will provide knowledge and skills on the promotion of health and well-being of childbearing women and their families. Experience will be gained in all areas of maternity services including community clinics, birthing centres, the antenatal clinic, delivery suite, antenatal/postnatal wards and women's homes. You'll also understand the value and importance of working within a multi-professional team to ensure the best possible outcome for women and babies when complexities arise. 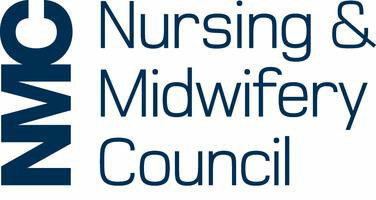 This course is accredited by the Nursing and Midwifery Council (NMC). Disclosure and Barring Service Enhanced Check and Occupational Health clearance. All applicants should refer to the application guidelines prior to making an application as they explain the application process. Applications for 90 week Midwifery are now open and will close on Friday, 15 March 2019 at 4pm. The selection day will take place on Friday, 12 April 2019 and you will be notified week commencing Monday 25 March 2019 if you are invited for an interview. All applicants should refer to the application guidelines prior to making an application as they explain the application process. An agreed training grant fund (previously known as salary support) has been put in place at trusts for this programme delivered at City, University of London. Please note that in some instances HEE may be offering training grant funding, but not tuition fees. Funding for tuition fees will require you to have received a confirmed commissions letter for this programme. *The Department of Health and Social Care has now confirmed that from August 2018 this course will be eligible for tuition fee and maintenance loans via Student Finance England. The loan will support your studies and enable you to start a rewarding career in healthcare. An agreed training grant fund (previously known as salary support) has been put in place at trusts for this programme delivered at City, University of London. Please note that in some instances HEE may be offering training grant funding, but not tuition fees. Funding for tuition fees will require you to have received a confirmed commissions letter for this programme. For more information please visit The Funding Clinic website, or view the Governments published response to consultation on funding reforms. Midwives take the lead professional role in over 75 per cent of births in the UK. Yet there is much more to midwifery than delivery wards. Approximately 60% of your time on the course will be spent on placement. Students will be allocated to a community of practice for their clinical learning experiences. City, University of London currently has four communities of practice in Newham, City and Hackney (Homerton), Camden and Islington (UCLH) and Tower Hamlets (Royal London). Teaching and learning involves lecture sessions, workshops, small group activities and discussions and whole class discussion. You will split your time between clinical practice and the institution, with 60% of your time gaining clinical practice experience and 40% of your time being theory based. Some of the student-directed study time is used for reflective practice sessions held within the practice setting. Modules are assessed through a combination of group work, written coursework, written and clinical examination. All assessments are focused on issues in midwifery practice. The course is delivered through a mixture of clinical practice and academic study. You will experience a wealth of opportunities for learning with midwives, women and their families within the hospital and community settings. From the outset of your journey you will be able to apply your growing knowledge and skills holistically through the undertaking of a small caseload of women. This will be with the support of your mentors and supervisors of midwives. A portfolio of practice will help to steer your learning and integrate the theoretical strands into your practice. Students will be able to combine theoretical study and develop clinical skills within our excellent clinical simulation facilities. The course has a theory/practice split of 40%-60%. Students will be allocated to a clinical area and supported by a trained midwifery mentor and practice education facilitator. Graduates from the PG Dip Midwifery (90 week) course are also able to top-up their qualification to an MSc by taking addition modules and completing a dissertation.